Budgeting for summer activities will increase the amount of activities you can afford and it can reduce the amount of money that you put on credit. Having fun in the summer costs money. Yes, there is the bonus of making memories with your family, but this comes at a cost and if you haven’t budgeted for this expense, it is not always easy to find this extra money. By taking action, it can make the summer activities a lot easier to manage. Children seem to get bored very easily and most activities, which they can participate in, will cost money. However, if you haven’t the money then it is very difficult to allow your children the chance to feel being part of something fun. These expenses can quickly add up and cost a lot of money, I always thought of a good figure and then would try to double it; this can then help to cover those special treats like an ice cream or an extra ride at the fun fair. Borrowing money for these treats will mean that you end up paying more money because of the interest added to the debt. This will make the rest of the year even more difficult! It is a no win situation, if you are borrowing money to pay for activities and trips then you will be paying out more money long-term; this can make straightening out your budget difficult, but it is possible to live life without debt if you manage your money and create a budget. If you are looking for ways to reduce spending, then you have to consider the areas where you can make the most savings. Paying down debt is important because it will save you money long-term by reducing the debt you owe. However, I think it is important that you save money too, this reduces the need to borrow more money and helps break the cycle of debt. However, this isn’t freeing up money that you can use to spend on summer treats! The easiest area to reduce your spending is to cut back on the grocery shopping. It is easier to shave off some expense just by cutting back and buying just the items you really need, try shopping with a list! Other options to increase your summer activities money, is to see if there are any bills that you can reduce, maybe change a supplier, but it is always important that you understand any differences to ensure that you are making savings on the new deal. It is a great idea to have in mind some of the activities you would like to try, sometimes it is great if everyone gets to choose something they like and this helps to spread out the fun and perhaps trying something different. 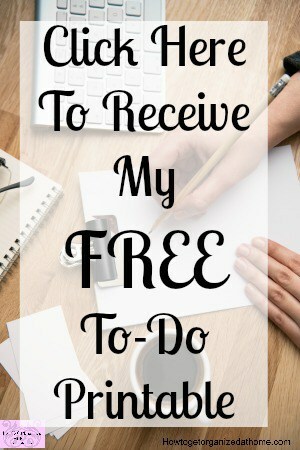 Try creating a summer activity list, putting on free items that are in your area is a great idea, it saves money and you might find some local activities that you really enjoy! Don’t forget about the fun you can have at home too! Putting money aside will allow you to do the summer activities with your family. The more that you can save, the more things you can do, but don’t forget to consider the free activities in your area, often these are just as much fun and are still great ways to make memories with your family. It is about getting the most value for the money that you have, often many activities have discounts, and some even offer coupons too, so use these to save money and to make your summer activity budget stretch that bit further, it makes it possible to have even more fun this summer. Therefore, if you are looking to have fun doing summer activities then you need to start budgeting now for the added expenses that you will incur. Make sure that you are putting aside as much as possible to avoid going into debt this summer. Having fun without the debt is important, so budgeting for summer activities is a high priority! What is your best tip for budgeting for summer activities? Looking for more articles on this topic, head over to the landing page and you will find other links to articles on budgeting. I wrote an article I think you will like. 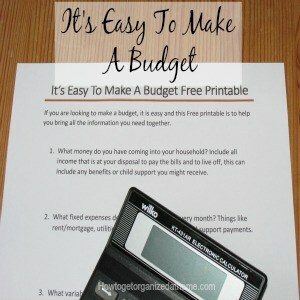 It’s Easy To Make A Budget. So many parents forget this side of budgeting, children do need activities but to ensure they have real fun with all the family, it may be an idea to cut down some after-school clubs to have extra holiday spending money. Also, perhaps children should be encouraged to save a little of their pocket/birthday/Christmas money towards having their own choice of holiday treats. I can’t believe summer is just around the corner. I mean… in LA it always kind of feels like summer, but still! This post brings me back to when I used to go to loads of summer camps!!!! So many memories – oh the nostalgia! Such a great list of ideas to help out! We need to save in the winter because our sons are so active in many sports in the summer! Thanks for sharing! Thanks for the tips! It’s always fun to do some different activities during the summer, but you are right, they usually take extra money. Now is the time to plan ahead! I am visiting from MabeySheMadeIt today.